2007 UFO Festival Is Upon Us! The good folks at McMenamins who have invited us to once again fly the solar winds with a Sci-Fi double header for the 8th Annual UFO Festival. This year we will present 2 shows (and no doubt some surprises) first off, Hurf the Extra Dimensional Assassin by Craig Kenworthy and then Zero Hour by the legendary Ray Bradbury. Hurf is a part of the Writerâ€™s On the Air Workshop and sponsored in part by the Regional Arts and Culture Council. Hurf is the tale of 2 slackers who accidentally summon a death dealing demon from another dimension while playing a game of Scrabble. The story is both funny and thought provoking as the characters juggle the moral consequences of when is it O.K. to kill. Zero Hour is a classic invasion story. Originally aired on” Suspense,” this is a story about a little girl and her friend â€œDrillâ€: who lives under the rose bush. They are both very excited about the new game they are playingâ€¦ Zero Hour. Kids donâ€™t only say the darndest things. A wonderful adventure from the pen of Ray Bradbury, the dean of Science Fiction. I hope you can join us in our new location in the Hotel Oregon in Mattieâ€™s Room. It will be fun. Here is the press release from the good folks at Mcmenamins. A celebration like no other â€“ beams down to Hotel Oregon this May. Our 8th Annual UFO Festival welcomes believers, skeptics, noted experts and everyone in between for a weekend of fun, enlightenment and entertainment. This year, we are pleased to host Dr. David Jacobs as our Keynote Speaker. Dr. Jacobs is the director of the International Center for Abduction Research (ICAR), associate professor of history at Temple University in Philadelphia and UFO researcher for nearly 40 years. He will discuss how the science of ufology has changed in the sixty years since the infamous 1947 Roswell incident in New Mexico. Guest speakers Peter Robbins, UFO researcher and best-selling author, and Peter Davenport, director of the National UFO Reporting Center, will round out the Panel Q&A on Saturday morning. Check out all the other fun stuff happening throughout the weekend â€“ an outdoor festival tent and McMenamins gift shop, live music from Portland bluegrass ensemble Jackstraw, a truly outlandish alien costume parade that careens down Third Street, an alien pet costume contest so Spot and Fluffy arenâ€™t left out, a live performance by Willamette Radio Workshop and more! To cap off the weekend, attend our Alien Costume Ball for live rock â€˜nâ€™ roll by Big Mama Gayle and a chance to win prizes for the most comical or well-done outfit. Reservations at Hotel Oregon are SOLD OUT â€“ but please refer to the McMinnville Downtown Association or the Chamber of Commerce for alternate local lodging. 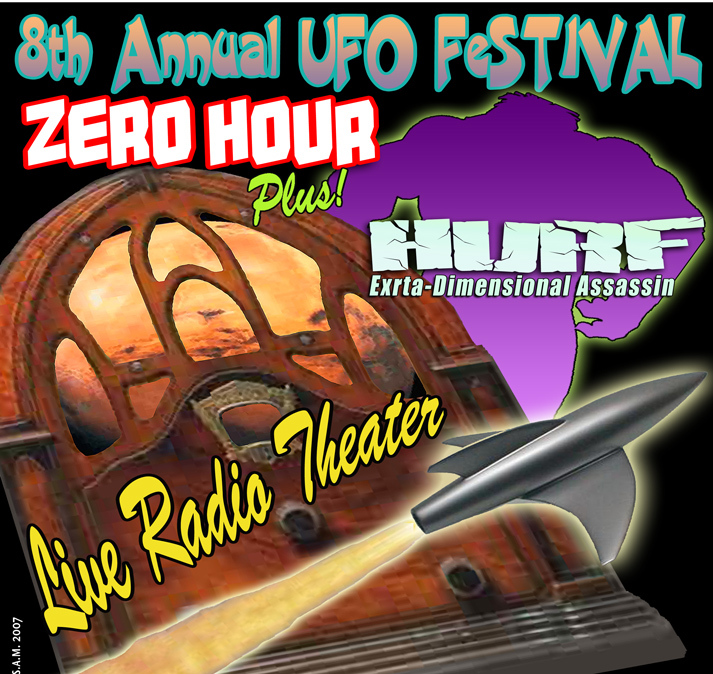 Visit the UFO Festival schedule of events for complete listings. Want to know more about the 1950 Trent sighting that started the UFO interest in McMinnville? Read a special section from a McMenamins Historic Hotel newsletter (PDF format). If youâ€™d like email updates about our 2007 event, join our UFO Festival Mailing List. 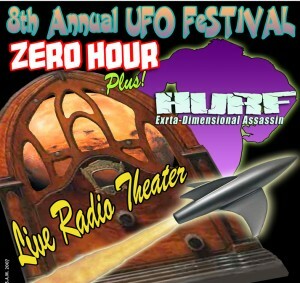 This entry was posted in 2007 Season, Live Shows and tagged 2007, live, ufo fest. Bookmark the permalink. ← We Made the Funnies!